Thinkware is slowly expanding its range of dash cams to reach more consumers, with the recently-introduced F70 being one of the most sensibly-priced products in the lineup -- while still offering all the essential features we've come to expect from the company. It's priced at around $100, which makes it very attractive for dash cam buyers on a budget. It's also got a nice design, unlike many of its competitors. Question is, how does it perform? I've tested it to find out. Despite being one of the most-affordable dash cams in Thinkware's range, the F70 comes with enough accessories in the box to help you set it up and start recording right away. The power cable, which plugs into the lighter outlet, is long enough to make routing along the edge of the windshield and underneath the dashboard easy -- in the box you will find a couple of windshield mounts for this purpose. The mount used to install the F70 comes with a spare adhesive tape. There is an 8GB microSD card included as well, and an adaptor to full-size SD to make it easy to transfer video to a PC or Mac. The F70 is relatively easy to install, even though it does not come with a display or support for a mobile app. It can be angled up or down as needed, thanks to the pivot on the windshield mount. To get the angle right, you can look to see if the body sits parallel to the bottom or top edge of the windshield. The device takes up a lighter outlet on its own, so, just like with other Thinkware dash cams, I recommend grabbing a multiport outlet if you need to power up or charge another device while using the F70. There is nothing complicated about the F70. That's probably its most attractive trait. It's designed to be dead easy to use, and it shows: you just plug the adapter in and off you go. It starts (and stops) recording automatically when that happens, so you don't need to worry about it. It is discreet too, being the smallest dash cam made by Thinkware that I've gotten the chance to test to date. It's a cylindrical design too, which is pretty unique compared to what I've used before -- not that it matters when it sits behind the rear-view mirror. With the cable routed nicely along the edge of the windshield, it can be easy to forget it's even there. The F70 has been very reliable since I started using it. There are no problems with the video, the mount is sturdy and it's easy to take off and put back on. And, because it's so compact, it never distracts me when glancing at the rear-view mirror or looking through the windshield. If there is one drawback to Thinkware's approach it is how you change the settings. This requires taking out the microSD card, which is used to store them, and use the Windows or Mac app to make changes. As a side note, I noticed that you can't disable the microphone like that -- you have to hold the recording button for a few seconds to get there (if you hold it for a few seconds longer, it'll format the microSD card). The F70, out of the box, will record videos in continuous recording mode, which means it will automatically override the oldest content when it runs out of room. To trigger manual recordings, there's a button on the left side for it. Those are stored in a different folder and will not get automatically overwritten. The F70, unlike the F800 Pro flagship I reviewed recently, does not come with a built-in GPS, so you don't get the speed automatically embedded in the video. One can be purchased and connected, but, if you're like me, chances are this won't be high on your list of priorities. That being said, just like with other devices in the range, you do get incident recording, which, using an accelerometer, records the 10 seconds prior to and after the event. These files are stored separately, and remain on the microSD card until they are manually deleted. The F70 features a 2.1MP sensor that records video at 1080p and up to 30FPS. There's a 140-degree lens in front of it, which is wide enough for city and highway use. To showcase what the video quality is like, I've uploaded a couple of videos to YouTube. There is a selection of both daytime and low-light content. The videos have not been edited, except to remove the audio (I recorded with the microphone enabled throughout my test, without realizing). 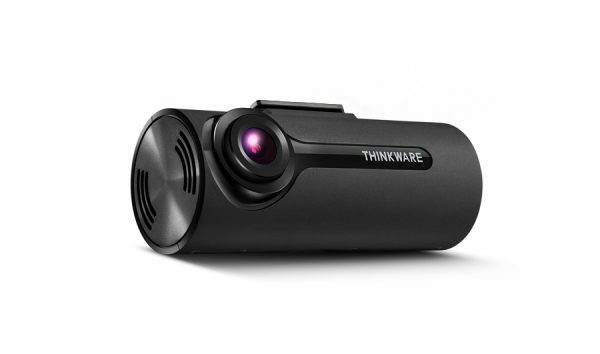 The F70 is probably the best value for money dash cam in Thinkware's range, as it is available just under $110 on Amazon right now in this trim. For the money, you get a reliable product that's well-specced and well designed. It's a steal compared to the current flagship, the F800 Pro, that costs a couple of times more.